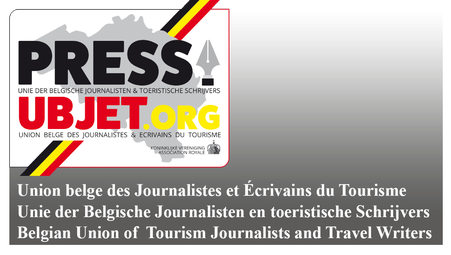 The Union of Belgian Journalists and Writers in Tourism (UBJET) is the oldest and largest association of its kind in Belgium, founded on 25 May 1951. Its first chairman was Arthur Haulot, General Commissioner of Tourism in our country. UBJET founded, together with France, FIJET (International Federation of Travel Writers and Tourism Journalists), which comprises 25 national associations and 900 members, recognised by UNESCO. UBJET’s articles of association state that the union consists of active members in the tourism branch who fulfil certain production criteria, specific for their category: journalists of the written or digital press, radio or television journalists, writers, publishers of printed or digital media featuring tourism items, movie makers, producers of audio reports, photographers and lecturers specialised in tourism. Our association aims at increasing its members’ productivity, at facilitating the travel they undertake in order to produce materials, to support their publications, and to bring them into contact with similar associations in other countries. UBJET wishes to work in a professional way. All members were invited to complete a questionnaire related to their recent activities. All answers were verified in detail. This action, rarely seen in the branch of journalist associations, should support the credibility of our members regarding the various interest groups in the tourism branch.